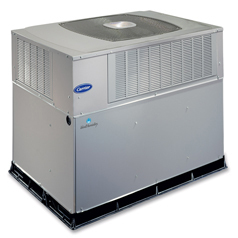 Manufacturers of HVAC devices and even the U.S. Department of Energy advise that it is best to automatically replace your HVAC equipment by the end of its estimated service life, typically estimated at approximately ten to fifteen years for air conditioning systems and fifteen to twenty years for a heater or boiler. Still the majority don't heed this basic advice, and given the expense of replacing these units, who could blame them? While age is a legitimate point with regards to replacement, there are several telltale signs that a unit is just too far gone, along with more general signs that may signify that replacement is wise, if not immediately necessary. The heart for any gas furnace is the heat exchanger. It exchanges the heat from the gas burners to the air that moves through the system. If a heat exchanger forms cracks or holes, replacing the appliance is imminent. Heat exchangers can fracture if they get too hot and expand past their design limits. This can actually be brought on, over time, by filthy furnace filters, but it's quite often merely a condition of old age. Heat exchangers can be susceptible to rust if there is substantial moisture in the area or the furnace is linked to a central AC and the interior exchanger on the air conditioner has a problem with its condensate pan or drain, causing water to drip on the furnace exchanger. Signs and symptoms that can signify a bad heat exchanger include exhaust odor in your home and soot around your heater vents in the home or surrounding the furnace itself. If you notice water beneath your furnace and/or deterioration inside the unit, have the heat exchanger checked for holes. A breach in the heat exchanger enables exhaust gases to mix with the system's circulated air and may generate dangerous amounts of deadly carbon monoxide inside your home. If your CO2 alarm sounds off during the heating season, get the furnace checked right away. Just like furnaces, gas boilers also have heat exchangers which are vital to their performance and all around health. And if one goes south, then it's time for a new unit. In boilers, the exchanger is actually a holding chamber for water, so the telltale indication of a crack is water on the ground underneath the boiler. Boilers can even be damaged by water outside the unit, for example by frequent or extended flooding. If your boiler has lots of rust at the base, have it examined by a boiler technician. Central air conditioning systems usually don't last as long as furnaces, and also their exterior parts often require more maintenance, partly because they're subjected to the elements and climate extremes. Consequently, one indicator that it's time for you to replace your AC is a high frequency of servicing. If you have to get the unit serviced or repaired a few times within a season, you should ponder whether there are systemic issues at play. A malfunctioning part or poor system installation may cause a variety of collateral damage to an air conditioning system. Fixing the cause won't reverse the damages already done to other parts. As an example, a burned out compressor is often a result of acid circulating within the system. You can replace the compressor, but if there are leaks in the system or if the acid isn't entirely eliminated, your situation can occur again. Other indications of very worn out AC equipment are unusually high noise and decreased efficiency. Failing systems usually make some horrendous sounds, and while this may be due to a number of problems, not all of which support replacement, there is a good possibility that the issue is serious and really should be looked into. Also, if you notice noticeable reduction in efficiency, especially if you've followed a maintenance schedule, your AC could be on its way out. Because your HVAC system is the greatest energy user in your house, the expense to operate the system is a vital factor in determining when to get a new one. To give an example, think about a broken furnace that's about 7 or 8 years of age, approximately half of its estimated service life. If fixing the unit costs about half the price of a brand new unit, should you fix or replace? If you have someone fix it, you'll still have a furnace that operates pretty much at the same efficiency for the next 7 or 8 years, at the end of which you'll purchase a new unit regardless. If you upgrade now, you will have a more energy-efficient unit which will save money on energy bills over the same 7 or 8 years, meaning you will likely spend less in the end. This article made me realize that there are actually several companies in toronto that offer these kind of services. I hope you can write more article about duct cleaning here in Toronto.